After 40 life changes for you. You begin to realize you can hold your own and you don't need permission to do so. Turning 40 is a milestone that only you can experience. Sometimes life throws you curve balls. You know the unexpected events in life. In this book I share uneventful stories and amazing eventful stories of triumph. Sorry to say just because you are older doesn't necessary mean its easy street. That’s far from the truth and there are rock bottoms, despair, and banging of the head against the wall. Some people's 40's are fantastic and some over 40's people feel it’s dreadful. 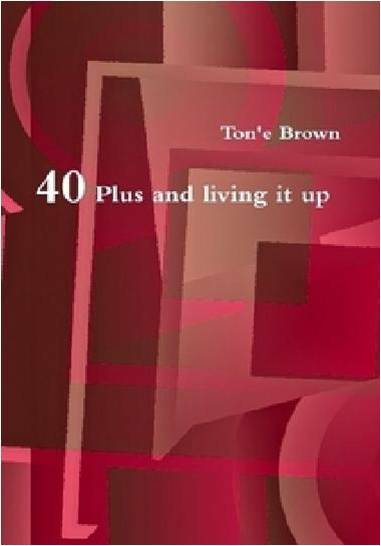 I share experiences of both men and women who share what turning 40 meant to them. I hope you enjoy the stories they will make you laugh, cry, and experience some joy. For some of you it may make you look forward to your 40's.